Someone is cutting down trees and ruining the course!!!!!!!!!!!!!! Someone is ruining Sunset Disc golf course by cutting down trees with a hatchet, stripping limbs from trees, and also girdling large pine trees with a hatchet. Please, PLEASE, if you see anyone doing this, GET THIER LICENSE PLATE NUMBER so that I can have them arrested and prosecuted for destruction of public property. THEY WILL ALSO BE BANNED FROM EVER STEPPING FOOT IN THE PARK AGAIN. Some of the trees and brush that have been cut down HELPED PREVENT DISCS FROM GOING IN THE WATER. 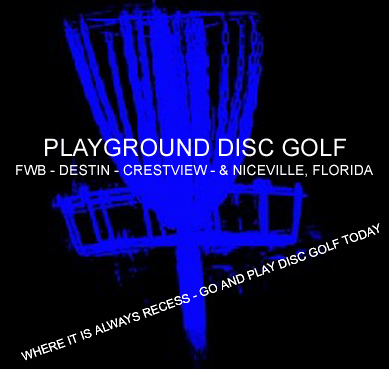 Gulf Breeze is a very easy disc golf course, and does not need any more live trees destroyed. Also, if the parks dept gets mad about about trees being cut down without permission, they may REMOVE THE BASKETS AND THE COURSE!!!!!!!!!!!! You may call me with any info about who these tree cutters and limb twisters are and you will remain completely anonymous. Re: Someone is cutting down trees and ruining the course!!!!!!!!!!!!!! that's horrible. i hope they get caught. someone's broke a few small trees at Ferry Park too. If we find them here I'll let you know, maybe it's the same people/person.